Help : You should supply the Document Type Name (or ID). The Document Type is on purpose not fully derived as it has too many consequences if it's wrong. The best way is to set the Document Type Name as a Constant in your Import File Format or as an imported field in the file. Import Invoice Import Invoice The Parameters are default values for null import record values, they do not overwrite any data. 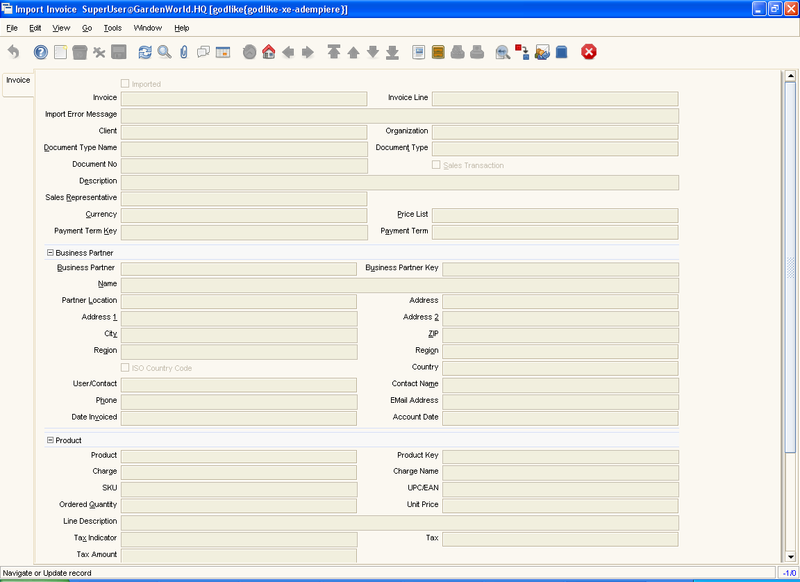 Note that only Prepare and Complete are valid document actions. This page was last modified on 18 May 2007, at 12:47.